Win the Energy, Oil & Gas Contract. Then Manage the Project. Win and manage energy oil & gas projects using Projstream’s integrated estimating, pricing and earned value management tools. Our oil and gas project management software is designed to help you not only win the bid, but manage the project's cost long-term while keeping your documentation organized and accessible. BOEMax is an all-in-one estimating and pricing tool. It's perfect for energy, oil and gas contractors that need to quickly send out multiple versions of an estimate. Import, parse and map requirements: Save time by automatically importing and parsing a lengthy requirement document in seconds. Then you can map it to the Work Breakdown Structure (WBS). Full pricing capability: With this wizard-driven cost reporting capability, you can build cost rules into your labor categories or resources. So by entering labor hours you can get full labor cost. And by entering BOM quantities or material dollars you get material or non-labor cost. 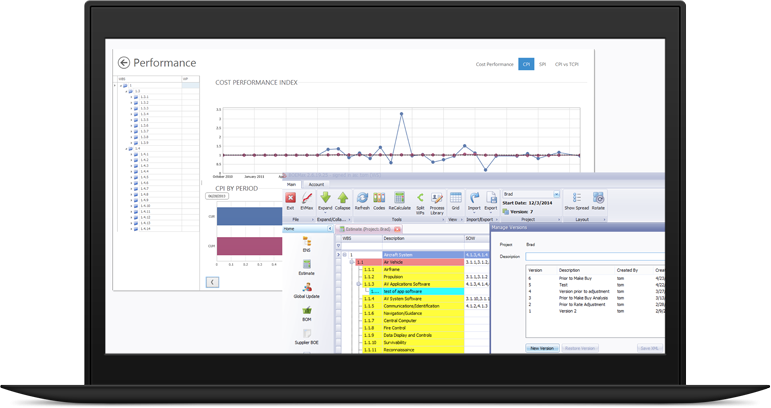 Exports estimate data to EVM software: Once you win your energy, oil & gas contract, it's time to manage project performance. BOEMax helps you get started day 1 by exporting estimate data to EVM software like EVMax or Cobra to create a budget baseline. We can customize BOEMax to your bid by setting up common installation of material and related labor templates in the process library for repeatable installation types. The takeoff search can also draw upon previous estimates as well as previous historical actuals. EVMax is an earned value management tool that keeps your energy, oil & gas project on track with customer support that resolves issues within 24 hours. Import your estimate from BOEMax: Forget copying and pasting estimate data. Instead, transfer it directly from BOEMax to EVMax to begin the baseline setup. Then use BOEMax as an ongoing platform for rolling wave planning. Update forecasts in grid view: With grid view, CAMs can manually update forecast and review its validity on the same screen. So they can quickly see if there are problems with a WP or control account, such as earned and no actuals, or actuals and no earned.